Easily install and configure an SSH 2.0 server that gives you the ability to manage Windows remotely from any SSH client, add an SFTP Server to Windows, and secure local resources for remote access. PowerShell Server is a powerful SSH 2.0 server that makes remote system management and resource access easy. Install it on Windows Desktops and Servers for a secure remote entry point, giving users power to securely manage Windows through PowerShell from any standard SSH client. 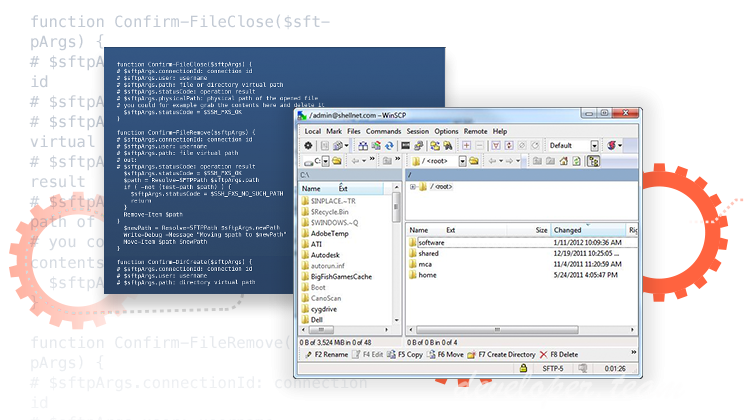 Easily add an SFTP/SCP server to Windows. Provide secure access from outside the firewall to otherwise insecure network resources via SSH Tunneling.